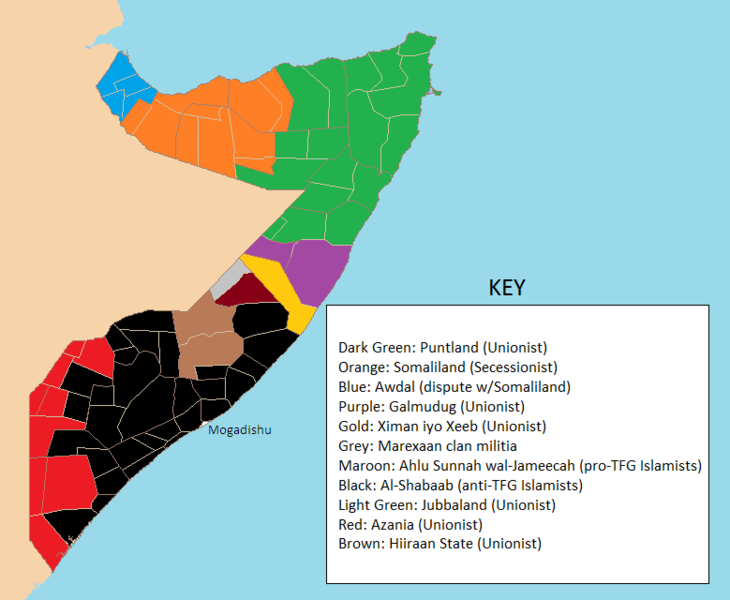 Mogadishu: The National Union of Somali Journalists (NUSOJ) welcomes the recommencement of the radio station’s activities recently shut down by the Ahlu Sunna Waljama, Moderate Sufi administration in Central Somalia town of Guri’el. The Radio station was allowed to resume its operations on Wednesday, around 01:00pm local time, after the Moderate Sufi Administration in the town of Guri’el silenced sent heavily armed security personnel who entered the promises of the Radio station on Monday afternoon November 21, 2011 and ordered the radio to go off air. “I am glad; we are allowed to go on air today around 1:00pm.” Ahmed Osman Abdi, director of the radio told NUSOJ over the phone. Radio Galgadud is an independent radio station which was founded in September 3, 2011 by an independent entity and the resumption of the radio was vital as it was the only radio listened widely in and around the town of Guri’el and its closure effected the community which do not have any other alternative to get the news updates and other entertainment related programs. The National Union of Somali Journalists (NUSOJ) welcomes the recommencement of the radio station and call for the Ahlu Sunna Waljama Administration to respect the freedom of the expression. “We are pleased that radio Galgadud resumed operations and we call the Ahlu Sunna Waljama Administrations in Central Somalia to preserve the freedom of the expression.” Mohamed Ibrahim, NUSOJ Secretary General said. Cemalnur Sargut, a living saint from Turkey with worldwide following was in the Madhya Pradesh capital Bhopal for three days from November 18 to 20 to participate in the International Conference on Sufism held at Bharat Bhawan. Cemalnur Sargut is the president of the Turkish Women's Cultural Association, Istanbul (TURKKAD), founded by her teacher, Samiha Ayverdi in 1966. Under her leadership TURKKAD works to organise international symposiums and address a wide range of people who would like to apply solutions to today's problems in the Sufi view that knowledge is a state to be practiced and worship is a journey toward love. 'Viva City' talked in detail with Cemalnur, a former chemistry teacher who is widely popular among the young in Turkey and other parts of the world. Her teachings focus on the application of Sufi principles and ethics in daily life. She has her disciples in all parts of the globe and the number is continuously increasing. She spoke in length on different aspects of Sufism. Viva City: How did you reconcile your study of modern science and philosophy with the Sufi way? Cemalnur: I was born into a Sufi family. In order to find things out for myself, I rejected my family's ideas and studied philosophy and chemical engineering. I examined philosophers' lives to see what I could learn from them, but saw that none of them was happy. Nietzsche became mad; Schopenhauer predicted the end of the world. I turned to Samiha Ayverdi, my Sufi teacher, and asked her to show me somebody who was actually living what he or she was saying. She showed me Mevlana Jalaluddin Rumi (1207-1273 A.D.). Some years later, she asked me to teach the young. I said I knew nothing. She said, it is then you can teach. You cannot teach when you claim to know something. You are actually learning when you are teaching. 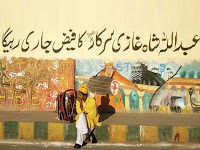 Viva City: There are many schools of Sufism. How would you characterise yours? Cemalnur: There are different paths to the Kaabah, one chooses this and another chooses that. My teacher's teacher, Kenan Rifai, combined the four main Sufi paths, which stand for humbleness, knowledge, love and praying while living in the world fully. We are trying to bring these together. 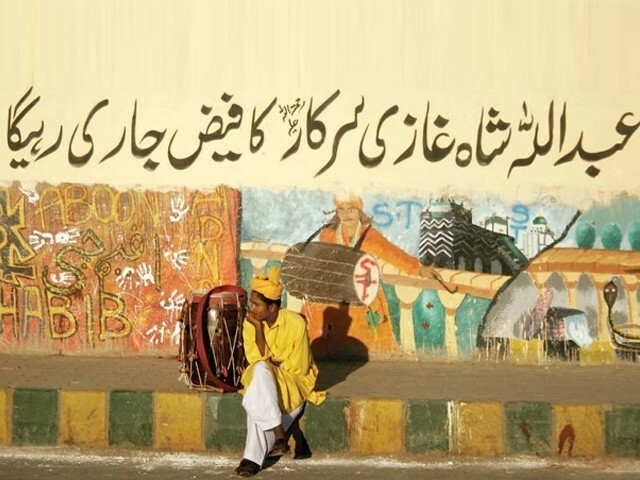 Viva City: Was this a new Sufi path? Cemalnur: Yes. Kenan Rifai was a revolutionary, as was Prophet Mohammed who broke the idols which are actually the ideas that bar our intellect, our mind. I try to do the same thing. I am lucky because many people accept me. Perhaps it is because I don't want to show myself, but the beautiful face of religion. The Sufi way is of love. Love is so precious, it is our weapon. Our jihad weapon is love. Viva City: Have you ever had to face controversy because of your beliefs? Cemalnur: It happens all the time. My teacher said that if everybody loves you, you are not a real murshid (Sufi teacher). Some people must not understand you, because wholeness is very difficult to understand. People like to make war, to take one side. If you belong to all sides, then they don't want to accept you. There is increasing tension between secularists and fundamentalists in Turkey. Problems are created by a handful of people, and they seem huge because they have big voices. In terms of the headscarf controversy, covering actually means to cover our bad habits. Viva City: What is your way of teaching? Cemalnur: We try to live what we learn. When i went to the US 10 years ago, one man said: If I just listen to you, I will think of you for a few days. But because I saw all of you (Cemalnur and her students), I saw how to behave, how to be what you say. That is very important. In 2009, Cemalnur initiated a chair of Islamic Studies at the University of North Carolina at Chapel Hill where she has been giving lectures since 2000. A similar initiative is to be launched at Peking University, China. The desired outcome of these academic efforts is to build a spiritual bridge between the east and the west and to teach Sufism, through daily practice in addition to scholarly study. Cemalnur was born in Istanbul in 1952. After receiving her BSc in Chemical Engineering, she taught Chemistry for 20 years. Born into a Sufi family, she was interested in philosophy and examined the lives of great philosophers when she was young. Upon her teacher, Samiha Ayverdi's request, she started to work on the Quran, conducted a comparative study on Rumi's Masnavi and started giving Masnavi lessons to young people when she was 24. Since then she has reached millions of people. Apart from her studies on Sufism, Cemalnur publishes books of commentaries on the Quran chapters compiled through the commentaries of such great Sufi masters as Kenan Rifai, Rumi, Ahmed-er Rifai, Abdulkadir Jilani, Ibn-i Arabi, Misri Niyazi, Jili, Shams and Sultan Veled. She continuously serves people by giving spiritual discourses and teachings on Rumi's Masnavi and Ibn Arabi's Fususu'l Hikem. Lincoln Center has been exploring the idea of transcendence in its White Light Festival this year by way of early and modern works from the classical music canon, as well as several theatrical offerings in which music was a central component. Whether each performance proved a portal to transcendence is a matter for individual listeners to decide; the ones I heard succeeded more often than not. And you could hardly have hoped for a finale better suited to the theme than “Passio-Compassio,” the Ensemble Sarband concert that closed the festival on Saturday evening at Alice Tully Hall. Ensemble Sarband is a German group in which European and Middle Eastern musicians collaborate, using the music, instruments and vocal styles of both worlds to perform sacred and secular music from the Jewish, Christian and Islamic traditions. The Jewish part of its repertory was addressed on Friday evening: not the most thoughtful scheduling, since observant Jews could not attend because of the Sabbath. For the Saturday evening program, the ensemble was joined by the Modern String Quartet, Vocanima Köln and five whirling Mevlevi dervishes for arias and choruses from Bach’s sacred music, along with Syrian Orthodox and Byzantine (Christian) chant and Sufi meditations from the mystical side of Islam. The Sarband approach is elegant, though not timid in its wresting of Bach’s music from its Western moorings, but Vladimir Ivanoff, the group’s director and arranger, has an unfailing instinct for finding musical ground where his transformations seem natural. “Können Tränen meiner Wangen nichts erlangen” (“If the tears on my cheeks achieve nothing”), from Bach’s “St. Matthew Passion,” for example, begins with a repeating figure in which ascending melodic leaps and dotted rhythms are set against a descending chord progression to create a tension that magnifies the text. But when played by the strange combination of an Arabic fiddle, saxophone, frame drums, zithers, cello and harpsichord, Bach’s melody sounds decidedly Turkish. Fadia el-Hage’s ornamented vocal line, sung in Arabic with a throaty timbre, pushed the piece further eastward, as did the free-spirited instrumental improvisations that followed. Yet if you knew the Bach original, you heard it clearly within the virtuosic filigree. In other “St. Matthew” excerpts later in the program — in “Wenn ich einmal soll scheiden” (“When once I must depart”) and “Erbarme dich” (“Have mercy”) — Ms. el-Hage began in a Western style, singing in the upper range of her contralto voice, with a touch of vibrato, and in German. As the arrangements unfolded, she switched to Arabic, and her earthier style, using a combination of Baroque and Arabic embellishments. Mustafa Dogan Dikmen, the male vocalist, did not venture into Western style but was a powerful interpreter in both Bach and Middle Eastern pieces. The ensembles collaborating with Sarband made decisive contributions as well. When Mr. Ivanoff wanted to pull the Bach pieces back into the Western world, the Modern String Quartet provided the right sounds, but its players also offered inventively jazz-tinged solos, as did Sarband’s two saxophonists, Tim Martin and Hugo Siegmeth. The ecstatic whirling of the dervishes — white-robed initiates into Sufism who dance with their heads inclined to one side and their arms extended as a form of devotion — was an enlightening touch during a pair of Turkish traditional pieces and the program’s finale, Ms. el-Hage’s moving account of Bach’s “Erbarme Dich”. Gear up for some soulful music as the eleventh edition of Ruhaniyat — one of the biggest Sufi music festival in Asia — comes to the city. Known to bring on the stage the remote and rural tunes, the two-day long festival is truly a celebration of the folk artists — the actual practitioners of mystic traditions who express complex and deep thoughts in the most enchanting manner. Says founder, organiser Nandini Mahesh, "For us 2011 is very special as now Ruhaniyat has entered the second decade. It has been a long journey and a very demanding one, with the festival travelling to seven cities of India. But, it has also been a deeply satisfying one too and, it is far from complete. There are so many forms which are amazingly powerful, orally passed down from generation to generation across centuries, hidden in various parts of our country. The carriers of these living traditions create an absolutely enchanting tapestry of music." This time around, the Mumbai version of the festival will feature some unique and unheard of forms of rural rhythms. "We are forms like Devaram hymns by Nayanmars from Tamil Nadu; these are ancient hymns that date back to seventh century. Another highlight is Waee from Kutch, a one of its kind stylised rendition of Shah Latif's works. Mystic Shabads, Kabirbani and Zikr are the other brilliant forms that will be featured this year," explains Nandini. And that's not all. Also performing at the event will be guest artists Whirling Dervishes from Turkey. Another highlight is the first ever performance of Polyphony, which will be presented on both the days. The festival that opens at the historic Purana Qila in Delhi, will be held in Mumbai on the weekend, and will then travel to Kolkata, Bangalore, Hyderabad, Chennai and Pune. Islamabad: A collection of photographs by Lukas Werth, featuring the socio-cultural lifestyle of two great countries, Pakistan and Germany, was unveiled here on Monday at the Rohtas Gallery. Through his lens, the German artist has presented a comparison of the two countries with the “East meets West” theme. The classic photography cache titled ‘Twilight’ has been produced by using the century-old technical gadget called ‘view camera’. The large size photographs showcasing cultural heritage and social-economic life of cities including Rawalpindi, Islamabad, Lahore, Munich, Berlin and others. Since December 2008, Lukas Werth has been teaching anthropology at LUMS. Having received his PhD in 1992 from the Free University of Berlin for an ethnography about the Vagri, a peripatetic group in South India. Deeply involved in photography both as an anthropological endeavor and as an art form. He regards photography as an independent form of visual art capable of making statements relevant to the contemporary world. He combines this with his anthropological interests, that is, he explores an artistic vision inspired by anthropological perspectives. One main topic of this combination is the exploration of cultural contexts in Pakistan which he tries to present in a personal vision, leading away from common Western prejudices, and also appealing to a spectator familiar with the contexts depicted. His theoretical interests include meaning, self, ethics and aesthetics in Anthropological thought; different aspects of religion as such, Islam, including Sufism and fundamentalism, Hinduism, kinship, rituals, concepts of modernity and Western thought, and peripatetic societies. Areas of his ethnographic interests are South Asia, most notably Pakistan and India, Western contexts, as the development of Western visual arts and the place of photography in this context. Talking to Pakistan Today, Lukas Werth said he wanted to develop an expressive vision of his work on Sufism, a vision which should somehow reflect the beauty involved in this concept, the beauty over and above every flaw, every imperfection, every distortion or manipulation which might be found, and that he wanted to be able to communicate this to audiences familiar as well as foreign to the scenes shown. “Secondly, in recent years, the Western perspective on the Islamic world has become more and more antagonistic. I use a consciously subjective perspective which amounts, or so I hope, to a personal vision of a tradition which evokes feelings of homeliness and beauty for those who are willing to see,” he added. Lukas said the reality was interpreted in such a way that allowed the spectator, whether she or he was part of that tradition or not, to get a glimpse of all those details and associations which made people feel at home. Generally, photographic representations of South Asia tend to concentrate on the colourful and the exotic, socially or culturally exciting or disquieting: the bazaar, traders, temples, peasants, faqirs, castles, landscapes with palm trees, camels, bullet carts, cows in the countryside, slums, beggars, and all this in bright, “natural” colours. “The pictures were taken all with analogue methods, in fact with an old-fashioned wooden view camera which is slow and cumbersome. I got my first camera of this sort here in Pakistan many years ago. This way of taking pictures continues to enhance photographic vision, even if it takes about 30 minutes to expose an image. I also like to use not only modern, but also antique lenses for the special image quality they are able to produce”, the German artist maintained. Lukas said the prints which were available for Rs 26,000 each- were printed through laborious, old-fashioned photographic processes. He said most of them were so-called casein prints, while others were cyanotypes blue prints. “The need for a big negative was the primary reason why all these processes went out of fashion and became finally obsolete,” the artist said. The exhibition will continue at the Rohtas Gallery (House No. 57-B, Street No. 26, F-6/2) until 30 November. 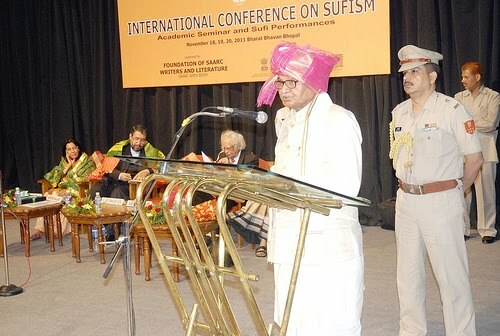 Bhopal: Delivering inaugural speech at the three-day 40th International Conference on Sufism here at Bharat Bhavan on Friday, Madhya Pradesh Governor Mr. Ram Naresh Yadav said that Sufism propounds love for entire nature by construing it as love for God. He said that at the spiritual level, Sufism is the voice of human being's inner self. The basis of Sufism is the quest of soul to attain God and the rituals are undertaken to achieve this goal. Its main principles include lofty spiritualism, peace of mind and soul, secularism and equality among human beings. Sufism does not encourage religious hypocrisy, caste distinctions, racism etc. He said that with respect to Sufi philosophy, universalism casts a deep impact on human existence. Earlier, the Governor inaugurated the conference by offering petals of flowers to water as per the Sufi traditions. About 56 scholars from Turkey, Iran, Egypt, Sri Lanka, Bangladesh, Tajikistan, India, Pakistan, Afghanistan, and Nepal were attending the international conference. The conference is being organised by the Foundation of SAARC Writers and Literature (FOSWAL), New Delhi; a SAARC apex body in collaboration with Public Diplomacy Division, Ministry of External Affairs- Government of India, Arpana Cour; Indian Council for Cultural Relations (ICCR) and Bharat Bhawan. Murshed Cemal Nur Sargut of Turkey, who was the chief guest of the inaugural function, addressed them in Turkish language being translated in to English simultaneously. Her inaugural address repeatedly stressed the need for love, compassion and mercy; the attributes of Allah Almighty. Her speech was listened to by the assemblage in pin drop silence. She said that the world becomes a place with undefined beauty, through the spiritual love. Everything starts with love and one who is in love with Allah will worship nothing else but Allah. Allah's real face can be seen only by getting rid of hatred and negative thoughts, she added emotionally. "We should be in a state to forgive and love others, then Allah will not be leaving us alone and he will shower his choicest blessings on us", Cemal Nur said. She ended her address by appealing "Let us unite and let us be the one committed to spread the message of Allah; of his love, compassion, peace and tranquillity to humanity at large which is now reeling under hatred, violence, wickedness". Delivering the presidential address, Dr. Abid Hussain said that this is the age of hate, terrorism and separatism. People are opposing each other in the name of religion. The terrorism of politics with fundamentalism of religion has created havoc in the world and the irony is that those who are witness to these aberrations in society too are busy joining the fundamentalists, he averred. He expressed his passionate feeling on Sufism, to be the most appropriate solution to these problems during these testing times of mankind. He reiterated Sufism as the song of the soul. He said that Sufism is not a religion and it doesn’t dismantle a religion. It has the ability to opens windows and shows that there is oneness in multiplicity. He said Sufism as a way of thinking could remove inequality from the society. “We have to keep people united despite diversity like a bouquet of flowers of different colour and smell”, he added. "When the soul is dead, the music is dead inside. When the soul is alive, we open our hearts to all human beings", he remarked. Earlier, in her welcome address, the organisational committee president Mrs. Ajeet Cour threw light on the objectives of the conference. She said Sufism is a great philosophy of deep and infinite feelings, but not a religion. “One can be a Muslim, Hindu, Sikh, Christian or a Jew and besides being one among them a Sufi too; because Sufism is an exalted state of mind where love and peace resound like a soft melody, it echoes and re-echoes in the depth of one's soul. It creates a new ideological state of mind overflowing with love. The message of Sufism transcends all boundaries, and not only it goes across, but negates racism and religious fundamentalism" she said. Mrs. Cour said: "In this age of rat-race for self-gratification and our thousands of never-appeased hungers for accumulating wealth, cars, posh bungalows and land much beyond our need. In this age of globalization and consumerism, the lyricism of Sufism brings us peace; because it takes us across to the nowhere land where peace, love and selflessness reign supreme." Continuing she said that it is only through love that we can reach the heights of self-evolvement and enlightenment; love with the Creator of this Universe, with the universe he has created, and with all the living beings which are ordained to share the bounties of this Universe. The Universe where the planet Earth and millions of planets in eternal rotation in their infinite void, moves without any accidents; the days then merges into nights, and nights gives way to glorious, sun-drenched days, in an eternal cycle of merging and re-emerging, like the cycle of Death and Life. "This is the Universe we human beings were placed in, to comprehend the meaning of Love and Compassion, not only with other human beings, but with all his Creations too!” she opined. Meanwhile, Mrs. Cour welcomed the guests by honouring them with shawls. One of the major attractions of the inaugural function was the dance performance by Baul dancer Ms Parvati Baul based on Bhakti music. Governor Mr. Ram Naresh Yadav was honoured by representatives of Dargah Shareef Ajmer who tied a turban to his head and presented him with a Chadar of Dargah. Dr. Madkour of Egypt, Dr. Karim Najafi of Iran, Dr. Ovezov Annaguly of Turkmenistan, Dr. Saleem Agha of Pakistan, Mr. Samant Ilangakoon of Sri Lanka, Prof. Abhi Subedi of Nepal and Syed Ahmad Chisti of Afghanistan were all present for the function among others. They were all felicitated and presented with shawls by the representatives of Ajmer Dargah Shareef, who as a part of honouring them, tied pink coloured turbans on their heads. Mr. Manmohan Singh Mitwa proposed vote of thanks. Picture: Madhya Pradesh Governor Mr. Ram Naresh Yadav delivering inaugural address at the three-day International conference on Sufism at Bharat Bhavan in Bhopal on Friday. Photo: TCN. Lahore: ‘International Conference on Sufism and Peace’ will be held in Lahore towards end of next month. The international moot is being organised by the International Sufi Council, headquarters of which are located in Lahore and the Central Secretariat of which is being also established in the provincial metropolis. The ISC was established at the end of the first ‘International Conference on Sufism and Peace’ which was held in Islamabad in March last year under the auspices of the Pakistan Academy of Letters (PAL) on an initiative of its chairman, well-known writer and intellectual Fakhar Zaman. But this time, it is being organized by the newly-established International Sufi Council. The moot was attended by 90 high profile literary figures from 40 countries as delegates who had decided to form the International Sufi Conference and Fakhar Zaman was elected its chairman unanimously. Zaman told a group of journalists at his Model Town residence on Thursday that a large number of international literary and cultural personalities including those who were reputed internationally for their expertise on mysticism from all over the world will be attending the moot. He said more than 150 such eminent figures had been invited from all over the world adding that most of them were likely to participate in the conference and exchange their views with national and international delegates to the conference. Zaman said the conference would deliberate on different aspects of Sufism, highlight of the message of love, brotherhood, tolerance and fraternity which all Sufis have been giving over the centuries. He said in the face of extremism, it was the dire need of the hour that people revert to Sufism and the moot will help the people understand and appreciate what Sufism was all about and how it can usher in peace in the world by adhering to the teachings of the Sufis which they have been giving in prose and poetry. He said the conference will continue for three days and detailed programme and final dates will be announced in due course of time after all arrangements have been finalised. However, it has already been decided that a cultural programme will be organised during the conference and more importantly some documentaries in English on the Sufi Poets of Pakistan will be shown. In response to queries, he said that the conference programme is being finalised in consultation with the foreign delegates of the first International Conference on Sufism and Peace held in Islamabad in March last year. Delegates from the participating countries were elected then as the presidents of the Council for their respective countries. He said this would help in chalking out a comprehensive programme for the moot to make it meaningful, objective and result-oriented in all respects. Karachi: Three-day long Urs celebrations honouring the ninth-century Sufi saint Abdullah Shah Ghazi will start today (Thursday) in Karachi amid tightened security. Abdullah Shah Ghazi’s grave was washed by the custodians of the shrine last night. A large number of devotees are expected to visit the shrine during the celebrations, which will conclude on Saturday. At the direction of Inspector General of Sindh (IG) Mushtaq Ahmed Shah, the city police have deployed teams and bomb disposal squad officers. Walk-through security gates have also been installed at the shrine’s entrance. Last year, twin blasts killed at least 10 people and injured more than 60 in an attack on the shrine. The blasts went off at the entrance as people were queuing up to enter the building. Translations of the medieval Persian poet and Sufi figure Jalaluddin Rumi have rivaled the record of Edward Fitzgerald's translation of 'The Ruba'iyat of Omar Khayyam' as the most popular book of poetry published in English. Rumi's longest poem, 'The Masnavi,' is told in great part by stories, illustrating what spiritual points he wanted to get across with secular folkloric color, often wry humor. Golden Thread Productions —whose annual ReOrient festival of one act plays on the Middle East has been produceded in Berkeley— has joined forces with the Islamic Cultural Center of Northern California in Oakland to stage seven of Rumi's tales, like "The Elephant in the Dark" and "The Grammarian and the Boatman," in modern theatrical styles. Featuring clown and Commedia shtick by Hafiz Karmali, a splendid director, as the first in a series of programs he'll direct over the coming three years, entitled Islam 101. This Friday night at 7:30, Saturday at 3:30 and 7:30, at the Center, near the Main Library in downtown Oakland, staged in the sumptuous ceremonial hall of this old Masonic building, all in Moorish Revival style, just over a century old. There's also an exhibit of Rumi-related artwork at the Cultural Center. Libyan gunmen broke into the Saif al-Nasr mosque in Tripoli early on Nov. 8, smashed open a wooden sarcophagus and removed the remains of Saif al-Nasr, a scholar who died 155 years ago, and a former imam, Hammad Zwai. “These bodies have been moved to a Muslim cemetery,” announced graffiti on the walls, explaining the disapproval by some Islamists of the Sufi Muslim tradition of burying scholars and teachers in mosques to honor them. Muslims pushing for a strict intepretation of Islamic law are jostling for power in the chaos that has gripped Libya since the ouster of Muammar Qaddafi, the third North African leader after those in Egypt and Tunisia to fall in the Arab Spring. Last month protesters holding signs proclaiming “We Are Here to Purify the Honor of Tripoli” forced the early closure of the capital’s first fashion show since Qaddafi’s 42-year rule in Tripoli ended in August. The man responsible for maintaining security in the city is Abdel Hakim Belhaj, the head of the Tripoli Military Council and former Guantanamo Bay inmate. The council doesn’t regard the mosque break-ins as a crime and is awaiting the formation of a religious council to rule on the matter, according to his deputy, Mohammed Goaider. “It is not a crime, but it is not the right time for the bodies to be removed,” Goaider said in an interview. If the religious council issues a fatwa, an Islamic religious edict, demanding the removal of the bodies, security units will do the work, he said. Belhaj was the leader of the Libyan Islamic Fighting Group, which opposed Qaddafi in the 1990s and is listed by the U.S. as a terrorist organization. After joining the Taliban in Aghanistan after the Sept. 11 attacks, he was captured and held by the U.S. Central Intelligence Agency in 2004 before being sent to Libya, where he spent seven years in a prison until his release last year. Tripoli is still controlled by a patchwork of militias, with the National Transitional Council unable to impose its authority over regional military bodies such as the Tripoli Military Council. The NTC says a new constitution, which will be drafted by a panel elected by June, must have Islamic law, or Sharia, as its “principal” source. Acting Prime Minister Abdurrahim El-Keib is due to present his Cabinet on Nov. 20 to the NTC. Among the groups vying for posts are the Freedom, Justice and Development party, which says it is modelled on the moderate Islamic AKP party that has governed Turkey since November 2002, and the National Front for the Salvation of Libya, which says it is secular. “The civil state that we yearn for, there is no conflict with that and Sharia as the source of legislation,” NTC spokesman Abdel Hafez Ghoga told reporters on Nov. 15. How Sharia will be interpreted remains uncertain until the constitution is drafted, and in the meantime tensions between secular and Islamist groups are surfacing in all spheres. At a five-day conference being held in Tripoli’s Radisson Blu Al Mahary Hotel, women’s groups from across the country voiced fears about their rights. Belhaj’s supporters insist that Islam must be respected, and say that they support democracy. The Tripoli Council, the city’s civilian administration, opposes the vandalism at the mosques, according to council leader Abdulrezaq Abuhjaar. Yet it’s powerless to act because it doesn’t control security forces, he said. Sufi militiamen are now guarding the remaining mosques in Tripoli, including the Sha’b Mosque, home to the body of a revered scholar, Abdul Sahfi, which is interred in a large stone sarcophagus. Women in Tripoli are feeling the heaviest burden to conform. They have been under pressure to dress conservatively since Qaddafi’s downfall, Abdul Aziz said. She blamed Belhaj and his insistence on a strict interpretation of Islam, and warned that violence may break out if he continued the policy. Salehi confers with Egyptian Sufis: Iran's Foreign Minister Ali Akbar Salehi said on Wednesday that Iran and Egypt will promote their ties in near future. In a meeting with a delegation of Egyptian Sufis, he referred to the country’s cultural and civilizational affinities and said that both nations are keen on developing bilateral ties. Pointing to the role of Egypt in the Muslim World as well as depth of its cultural status, he said that Sufism has a long history in Egypt. The Sufis hailed the Iranians for their respect and hospitability. They also said that they esteem Prophet Mohammad Household (PBUH). Iran severed ties with Egypt in 1980 after Cairo signed the 1978 Camp David Accord with Israel and offered asylum to Iran’s deposed shah Mohammad Reza Pahlavi. In April 2011, then Egyptian Foreign Minister Nabil al-Arabi called for normalization of ties with Iran, saying Cairo was committed to improving long-frozen relations with the Islamic Republic of Iran. Sound artist Mercan Dede builds music on heartbeats and ancient wisdom. Arkin Allen is a glass-half-full kind of guy. As dark as recent days have been in his homeland of Turkey, the artist known by some as Mercan Dede looks towards the light. ''The whole world is facing very difficult times: earthquakes, wars, economic meltdown. It's these days that make you understand how music, art and culture [are] so important,'' he says. Mercan Dede is one of nine names under which Allen makes his music, which sits at a crossroads between the ancient traditions, reed flutes and hand drums of the East and the turntables and high-tech modernity of the West. Not even his family or management know all of his identities, he claims, because ''nothing should stand between sound and the ear, including the artist himself''. It might sound like a glib soundbite to an ear accustomed to the gimmicks of the prefab pop world, but the ebbing and swirling sound of Mercan Dede has a weird way of disarming the mind and making the body heavy in surrender. ''In Turkish we call this 'music of heart','' says the 45-year-old composer, DJ and player of several hypnotic Middle Eastern instruments. Yeah, yeah, but what's the trance code? Surely there's some mathematical tempo plus frequency formula that makes his spiralling drones and slow twanging gut-strings get under your ribs like that? ''There are certain things,'' he concedes. ''One of them is mathematical, in a way. In all my albums there is a heartbeat. I don't mean synthetic digital heartbeats. I mean the heart, literally. ''And in every album, we have the sound of nature. Same thing, we will go out and record that sound. Rain, wind, fire. Allen was immersed in Sufi philosophy and music as a child in Bursa, north-west Turkey. He moved to Istanbul to study journalism in his teens, then to Canada as an exhibiting photographer and student of multimedia. There, working in a bar in the late 1980s, he realised a profound parallel between the ascending culture of electronic music and the traditions of his ancestry. This counterpoint would inform seven highly regarded albums as Mercan Dede. ''The Turks come from central Asia, from shamanic tradition and [there is] also the whole influence of Islam, so there is this incredible tradition of healing with the music,'' he explains. ''In Sufism we have different meditations and there is one person who is like the head of the symphony, the maestro of the ceremony. I became fascinated with the similar way the DJ can move the energy of the crowd: he can drop it, he can change it. Mercan Dede sold out the Forum on his last visit here in 2008, following a number one album on the UK world music charts: 800 was an 800th birthday dedication to the Sufi mystic, Rumi. His new Istanbul Quartet promises a more traditional experience this time, complete with whirling dervish to aid communion with the universe. And yes, there's a kind of maths involved there, too. Mercan Dede performs at the Playhouse at 7.30pm on Sunday, the closing night of the Australasian World Music Expo. 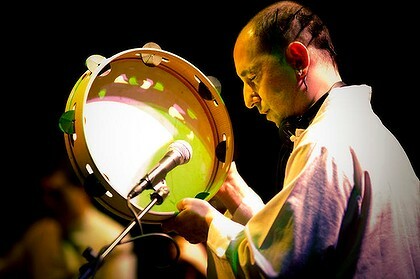 Picture: Sound artist Mercan Dede builds music on heartbeats and ancient rhythms. Photo: Masiar Pasquali. English-speaking Muslims prefer to use Arabic names for Muslim rituals and feasts. Turks have from the very beginning preferred to use Persian equivalents. Arabs and English speaking Muslims use “salat” for daily prayer, whereas Turks and Persians use “namaz.” The Arabic Eid al-Adha is translated into English as the Feast of the Sacrifice. Turks, Persians, Urdu-speaking nations, and Balkan Muslims on the other hand call this feast Kurban Bayramı (this final vowel missing in some locations), which can be translated as Feast of Proximity. This is not a simple issue of nomenclature. Different names used for the same meaning attest to different worldviews, in this case, to a difference between the Orthodox Islam of the Arab core and the Sufi Islam of the peripheral Muslim nations. On the other hand the Turko-Persian naming relates rather to the question “why.” A good example is the Eid al-Adha and Kurban Bayramı pair. Eid and Bayram both mean a feast, festival or holiday. Adha is the plural of the Arabic Dahiya and is the name of the sacrificial animal that is acceptable religiously to be sacrificed. Dahiya is an animal with special qualities sacrificed on the days of Eid al-Adha by a free, non-travelling, well-to-do Muslim with the intention of fulfilling the duty of sacrifice. The qualities of the Dahiya are such a sophisticated issue that downgrading the issue to the level of animal rights can sound disgusting to a Muslim. Anyhow, the Arabic naming of the feast revolves around the kind of animal that can be sacrificed, the intention of slaughtering as a sacrifice to Allah, and the economic and political situation of the Muslim person who will sacrifice the animal. In the Turkish case Kurban Bayramı is rather about “Kurbiyet” with meanings related to proximity in feeling, approaching, appealing, affinity, and befriending. Thus, the Feast of Proximity is a feast when Muslims try to realize and feel the closeness of their Creator through their devotion proved by the symbolism of sacrificing animals. For peripheral Sufi Muslim traditions the gist of sacrificing is not about the animal but about the relationship between Allah and man. 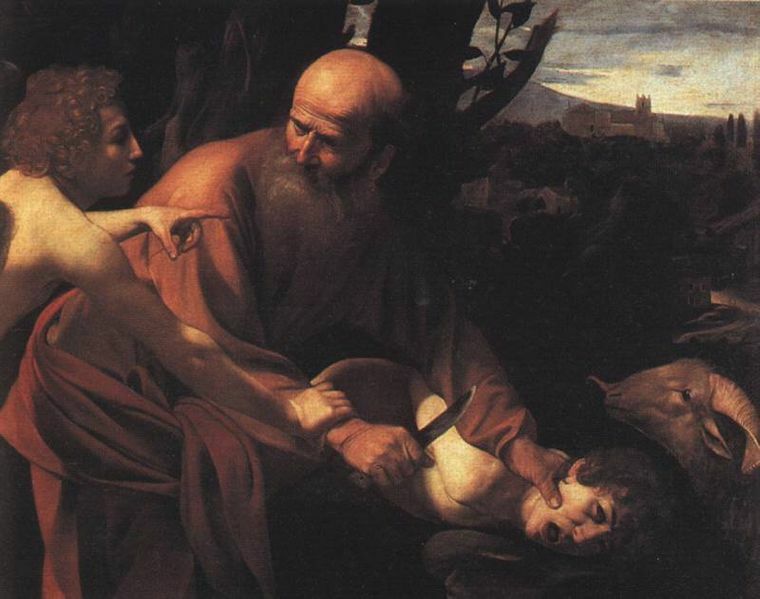 For this reason Turkish Muslims stress the memory of Patriarch Abraham’s readiness to sacrifice his son Ishmael (or Isaac as the Judeo-Christian tradition says, or both) to Allah. For this reason Turkish Muslims attach more importance to feast visits between relatives and neighbors as the proximity between the believers connotes a proximity to Allah. For this reason also Turkish Muslims have added dimensions of candy distribution, giving pocket money to children, buying presents for close friends and paying visits to the houses of otherwise neglected poor families during Kurban Bayramı. Since in the Turkish understanding proximity is not restricted to those who sacrifice an animal, Turks are ready to share their feelings of closeness and affinity with their non-performing Muslim and non-Muslim neighbors also. The feast is a Feast of Proximity for all, and sacrifice is only one particular dimension of that proximity. It is indispensable; but it is not all. The issue of proximity is a major part of the Muslim cosmology. In fact all states of the human condition in this world are measured according to proximity and remoteness (kurb-bu’d) from Allah. The psychological states corresponding to these two poles are openness and eclipse (bast-kabz). During times of proximity, as in the days of the Feast of Proximity, we are open to inspirations, we are happy, and our souls are satisfied, wheras on days of remoteness we are lost in the wilderness of this world with our unsatisfied souls looking for a port of tranquility. All of the Beautiful Names of Allah correspond to these two cosmological conditions: Cemil (beautiful) looks to proximity, whereas Celil (glorious) looks to remoteness; Ahad (one) looks to proximity and Wahid (sole one) looks to remoteness and so on. Gravitational force relates to the proximity and centrifugal force relates to remoteness. Love connotes proximity, and hatred connotes remoteness. Hence we feel countless levels of proximities during the Feast of Proximity ranging from the level of most intimate human feelings to supernatural cosmological events. ‘An-al-Haq’ (I am the truth) – this statement would be the death of Mansur Al-Hallaj. A Sufi poet, teacher and philosopher, Hallaj was executed on the orders of an Abbasside caliph for uttering these words, taken to mean Hallaj as claiming himself to be God. After more than a decade of imprisonment, Hallaj was eventually executed publically in Baghdad in the year 922 [309 AH]. He is seen by many as a revolutionary writer and teacher of his time, when practices of mysticism were not meant to be shared publically. Yet he remains a controversial figure, revered by Rumi, hated by many, he was labeled an intoxicated Sufi and is still read today. Soon, Modern Times Stage Company in Toronto will be presenting the last night Hallaj spends in prison. The play is written by Peter Farbridge and Soheil Parsa and directed by the latter. “He is given a choice to recant his beliefs or be executed. We try to work out his dilemma,” explains Farbridge. The play will explore Hallaj’s quest. “Was he inspired by a spiritual notion or was he more of a mad man?” asks Farbridge, a question he says is never answered in the play. A modern re-telling of a true story from 9th century Baghdad. Hallaj was a legendary Sufi poet, teacher and philosopher whose teachings won the adoration of the public and rage of the political system. Orthodox leaders seize their opportunity when one reckless act becomes Hallaj's indictable offense, and he is given one last choice: to recant and save his life or stand by his convictions and dance to his death. As he spends a final night in prison awaiting execution, Hallaj's memories paint a portrait of a man conflicted by love for his family and a consuming search for spiritual truth. Picture: Hallaj, the Playbill. Photo: Modern Times Stage Company, Toronto, Canada. New Delhi: The Deobandi and Sufi sects of Islam are again on a collision course — this time on holding birthday bashes. In response to a specific question last week, Darul Uloom Deoband issued a fatwa against celebrating birthdays, saying it was a western practice that had no sanction in Islam. Darul Uloom Vice-Chancellor Abul Qasim Naumani pointed out that the seminary did not celebrate even the Prophet's birth anniversary. Reacting sharply to the fatwa, the All-India Ulama & Mashaikh Board (AIUMB) — a Sufi strand that recently took on the Deobandi branch, accusing it of propagating hard-line Wahabism — said there was no bar in Islam on celebrating birthdays. Indeed, the Prophet's birth anniversary was celebrated the world over with as many as 54 countries, including India, observing the day as a national holiday. The two notable exceptions were Saudi Arabia and Israel, the AIUMB said. “The fatwa is proof that Deoband would like to impose the foreign ideology of Saudi Arabia and Wahabism on India,” said AIUMB general secretary Maulana Syed Mohammad Ashraf Kichauchhawi. Far from seeing it as un-Islamic, Indian Muslims had always celebrated the birth of the Prophet by taking out “‘Julus-e-Mohammadi' (processions), lighting candles and celebrating Milaad across the country,” the Maulana said. The celebrations were valid, because the “birth of the Holy Prophet is the greatest favour of Allah Almighty on humanity. That is why the Muslim community celebrates the birth anniversary of the Holy Prophet with traditional zeal and zest on the 12th of Rabi-ul-Awwal,” he said. A two-day training workshop conducted by Mehergarh on ‘Interventions for Promoting Pluralism’ concluded on Saturday. Members from various youth organisations participated in the training, said a press release issued by Mehergarh. The facilitators included Dr Fouzia Saeed, Director Mehergarh, Khadim Hussain, who has researched the discourse of extremist forces in Pakistan and Dr Kamran Ahmad,the author of *Roots of Religious Tolerance in Pakistan, India*. Saeed started the session by a talk on identities, followed by a short history of the Taliban. A film ‘Yeh kon log hain’ (who are these people) was showed to explain how extremism and talibanisation spread in the society. Hussain also talked about extremist forces and how they led the youth astray. In the end, Saeed gave a presentation on the ‘Pluralistic Discourse’ to the participants, so that the parameters within which the youth-related platforms seek to work on peace and pluralism can be defined. The session concluded with a questions and answers session. 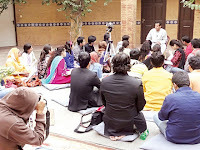 On the second day, Ahmad took the participants on a spiritual journey in which he discussed seven elements of living Sufism in Pakistan,Ishq, Rawabit, Tawakkul, Aks-i-muqaddas, Rawadari, Wahdat-ul-wujud and Jamaliat, giving examples of the South Asian mystics. He emphasised the spirituality we experience everyday and stressed the need to protect it from the extremist forces prevailing all around us. He said the sufis experienced spirituality in their daily lives, not by living in isolation or by deviating from the society. In light of the arguments given, the participants vouched to reinforce a pluralistic culture through indigenous wisdom. The participants included representatives of Aware Girls, Seeds of Peace Network, Progressive Youth Forum, Neengar Society, Y-Peer Network, Bacha Khan Education Trust Foundation, and Human Rights Commission for Social Justice & Peace and Youth Together for Human Rights Education. The Mehergarh Youth Consortium invited these organisations to attend the training in order to educate them on the “situation in the country with regards to extremism”. Picture: Participants attend a session at a two day training workshop ‘Interventions for promoting pluralism’, organised by Mehergarh. Photo: The Express Tribune. 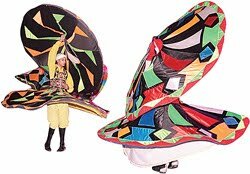 Amer is credited with the preservation and continuance of the tradition of the Egyptian Mawlawiyah (more popularly known as Whirling Dervish), when in 1994 he took upon himself the task of rejuvenating the dance form started during the pharaohnic times. Since then, Amer has regaled the world to this exciting form of dance that rests on the tenets of sufism. Mawlawiyah starts with an ode to God on subtle musical notes produced through three percussion instruments and a flute. It accelerates to a crescendo of whirling exhilaration and singing that combined together produces that perfect picture of rhythm in motion. To witness such euphoria, where any onlooking crowd cheers and applauds, is truly surrendering oneself to the pleasures of music. But the journey wasn’t easy for Amer. Coming from a family of city dwellers (his father was a teacher, mother a homemaker), Amer took to Mawlawiyah during his twenties, just as a start to his personal search of a higher order. “I was looking for something that made me truly happy, a form of meditation that could end my search,” he recalls. “It was around this time that I discovered Mawlawiyah, which was still in tradition in Egypt, but on a very small scale being conducted by unknown singers and dancers in the villages of Egypt,” he elucidates. Amer says, as his interest in Mawlawiyah grew, so did his hunger to learn more of its origin. He read through ancient texts and understood the ethos and logic behind the art form. It was several years of painstaking learning that he formed his troupe in 1994. Amer very soon realised that for this art form to survive, he had to take it to the world outside. Thus, began his tryst with improvising with the Whirling Dervish. He incorporated the 'tanoura', or the colour element in these dances that reflect in the dresses and skirts that the dancers wear. Traditionally, in the Turkish Dervish, the clothes are subdued, with off-white the preferred tone. Amer also incorporated changes in music, adding a distinct note to his form. The instruments like the tabla and dohalla are used in repeated forms. So is the flute, which combines the longing the individual wishes to quell through the singing and whirling. The dances can go one for hours, culminating in a heady mix of drum beats and aggressive singing. Like our home-grown baul which also emanates from the doctrine of Sufism, the music and dance culminates into a space of its own. Amer and his troupe has performed the world over. But they have recently started performing in India, with a show in Kolkata earlier this year. “We were thrilled! A performance of an hour rolled out beyond that, and the audience wanted more! Such is the spirit of Mawlawiyah!” Amer says. In New Delhi, for the Delhi International Arts Festival 2011, the troupe is set to return to the capital in February 2012 with the intention of conducting workshops. 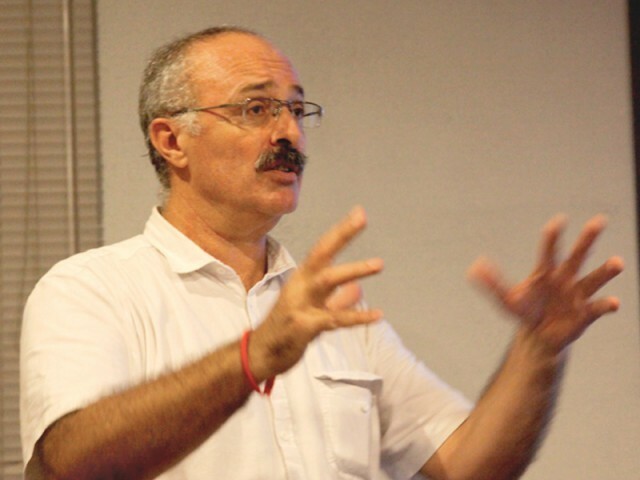 “People want to know more on Mawlawiyah, its origin and what it encapsulates. So we decided to take this ahead,” he says. Amer is currently employed with the Academy of Art, Cairo and has a PhD in Mawlawiyah, probably the only person with an expertise in the discipline. “Muslims’ Worlds” is due to open in Berlin’s Ethnological Museum in Dahlem this month [Saturday, November 12], exploring the theme of gender segregation in traditional Islamic societies and Muslim diversity, from orthodoxy to Sufism. In four rooms, measuring 850 sq. m, about 300 objects mainly from Pakistan, Afghanistan and Central Asia dating from the 18th century to the mid 20th century, have been organised to show, for example, how men traditionally dominate public life while Muslim women are associated with the home. Highlights include a carved and decorated wall from an Afghan guest house and a 19th-century coat of a wandering Sufi dervish from Persia. 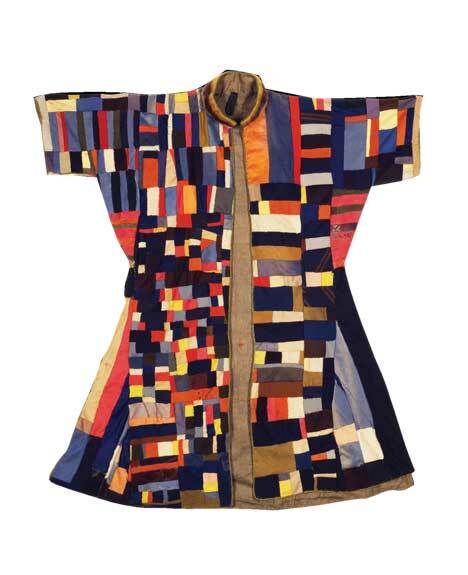 Picture: 19th-century coat of a wandering Sufi dervish from Persia. Photo: Dahlem Museum/TAN. The Ankara 16th Court of First Instance announced on Tuesday its reasoning behind its dismissal of a closure case against the Çankaya Cemevi Building Association filed by the Ankara Governor’s Office against the association for defining a cemevi -- where Alevis gather to pray -- as a “house of worship” in its bylaws. Because of the court’s decision, cemevis can now be legally defined as places of worship, lawyers said with regards to the precedent established by the rejection of the closure case. The non-recognition of cemevi as places of worship is based on an opinion held by the Religious Affairs Directorate that is not legally binding in Turkish law. The Associations Directorate of the Interior Ministry on March 30, 2005 sent a letter to the Ankara Governor’s Office referring to this opinion. The Interior Ministry asked for the association to remove references to cemevis as places of worship from its bylaws. The association refused to comply, stating that for all Alevis, cemevis are accepted as places of worship. The governor’s office then filed a case with the Ankara Prosecutor’s Office to close down the association. Prosecutors wanted to shut down the association, arguing that a cemevi cannot legally be deemed a house of worship. However, the right to establish, own and maintain places of worship is a fundamental part of the right to freedom of religion or belief that is included in the Turkish Constitution under the Article 24 as well as international human rights afforded everyone, such as by Article 18 of the International Covenant on Civil and Political Rights, to which Turkey is a party. However, religious communities in Turkey face serious obstacles -- both formal and informal -- that prevent them from fully exercising this right. In Turkey, the Directorate of Religious Affairs has the right to open mosques and administer them. Alevi or any other religious communities can only build other places of worship, such as cemevis, privately. They cannot legally own buildings of this type. Alevism has been introduced to the curriculum of British primary schools through the efforts of the Alevi Cultural Centre and Cemevi. The first lesson on Alevism began on Tuesday with a ceremony at Enfield Princess Wales Primary School in north London. The lesson was given to children aged between 5 and 11. Attending the ceremony was Dr. Celia M. Jenkins from the department of social sciences at the University of Westminster, who said it was a first in the history of Britain. Alevi Cultural Centre and Cemevi Chairman İsrafil Erbil said he was very happy that Alevism would be taught in a school that includes students of 72 nationalities. He added that awareness of Alevism would be raised and that they hope the Alevi children would feel more comfortable expressing themselves. Mohsen Keiany, an Iranian-born artist, showcased on Monday his collection of 19 paintings at the Nomad Gallery with a focus on the western art movements such as Expressionism and Surrealism. Islamabad: A quick glance at his contemporary amalgamated art pieces would show that Mohsen’s inspiration comes from Iranian paintings, archaeology, Persian mythology, Islamic art; particularly traditional Persian miniature painting and the landscape of Iran. In addition to that the Sufi mysticism is a special influence on his work. It is fascinating to see as to how his work reflects his Persian roots and the cultural and spiritual influences on him. Hailing from the city of Shiraz, which is regarded as the capital of Persian culture, and home to several famous poets and Sufi masters including Hafez Shirazi, Sheikh Saadi, Mansoor al-Hallaj and others, Dr Keiany is also known for meditating in front of the canvas and then painting from the intensely vivid images from his memory. His work is inspired from Divan (a collection of Hafez’s poetry), which gives him inspiration. The city of Shiraz is itself an inspiration for the painter. This city is abundant with gardens and fruit trees and has its own individual school of miniature art, colourful crafts, inlaid mosaic, decorative tiles and magnificent carpets, beautiful architecture and rare stained glass windows. “I use Divan of Hafez as the prophecy, which guides my in finding answers to my questions and gives me direction,” observed the artist in his press statement issued here. Talking to Pakistan Today, Nomad Gallery Director Nageen Hyat said that all his works are bright, colourful and interwoven with the Persian poetry of Hafez. “The images are bright and colourful and immediately draw the viewer towards them. Nearly all his paintings seem to be telling a story. A particularly beautiful painting by Dr Keiany is called ‘Spiritual Discourse’. The painting depicts a group of Sufis and a woman sitting around a bonfire. Most of the figures in the painting are looking at one another busy in some discussion,” she said. So the Persian poetry with the city of Shiraz as its background is a mesmerising experience for a viewer. 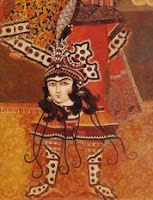 Mohsen’s paintings are mainly oil-on-canvas and they depict men and women playing Daff, Tar, Setar and flute. The colours used are rich and reveal a detail of expressionism. An equally beautiful painting is “Narges”, done in orange, red and yellow hues. Another noteworthy aspect of Dr Keiany’s works is his depiction of some musical instrument in nearly every painting. Some paintings make the instrument apparent, as in the “Nienavazan”. Nageen explained, adding the paintings have a heavy use of blue and other lighter colours that have a calming effect on the viewer, which is possibly what the painter is aiming for. Born in 1970 in Iran, Mohsen Keiany having shown a talent for art, completed his secondary education, became a teacher and gained a scholarship to study art at the Esfahan University. 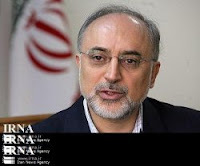 He secured a Master’s degree and then lectured at Shiraz University. An award-winning artist, Keiany has exhibited over 50 times internationally. He has exhibited 35 times in the UK, recently at the Birmingham Museum and Art Gallery, and his work has been reviewed by the BBC and many newspapers. He now lives in the USA and has completed his PhD thesis. His exhibition at Nomad will continue until November 12. Sudanese plastic arts movement has passed different stages of development towards crystallizing its national identity since 1950s when first graduates of Faculty of Fine and Applied Arts joined social mobility aimed at liberating from colonialism as well as cultural alienation. The graduates of the faculty exerted tangible efforts to find aesthetical values derived from the heart of the local community to cope with the national scheme of Sudanization adopted by Sudanese intelligence at time. The artistic art then was relevant to social development took place not only in Sudan but also across the region since its beginning. It is remarkable that number of Sudanese artists has increased tangibly throughout recent period. The increase has contributed negatively to change traditional visions adopted by considerable number of people accusing plastic art of uncertainty as well as ambiguity. The remarkable turnout to galleries nowadays proves that the long journey paced by Sudanese artistic movement has finally reached a destination where plastic art can find a room in a society once gazed on it suspiciously. Sudan Vision Daily interviewed the painter Adam Ali al Radi to enlighten readers about recent and current developments of plastic art movement in the country. Q: When did your relation with art kick off? A: Since early childhood I used to paint and use clay to make different shapes. When I went to primary school my talent began to draw others' attention and a number of teachers encouraged me. Q: Has your family support you? Haven't they tried to make you change your mind? A: I can say that I am part of democratic family. My elder brother is a good painter and my family prepared good environment for my talent to develop naturally. Q: How did you join Faculty of Fine Arts? A: I was admitted at Juba University-Faculty of Fine Arts. When we finished our first year at university there were no more than four fine arts students. The university asked either to join other faculties or joining Sudan University Faculty of Fine Arts. I chose to join Sudan University and my family encouraged me to do so. Q: There are number of artistic currents in Sudan. Which one of them affected your artistic work? 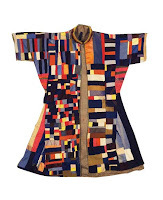 A: During the 1950s a number of artistic currents emerged in Sudan. 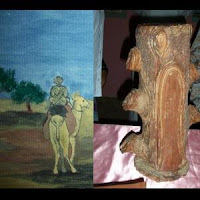 Khartoum School concentrated on reconsidering Sudanese artistic heritage while One School, established by late Ahmad Abdul Aa'al, concentrated on involving Sufi values in artistic work. I think One School has contributed tangibly to the development of Sudanese plastic art movement. Q: Can you remember your first gallery? A: My first gallery was relevant to the event of Khartoum center of Arab culture conducted in 2005. I was the representative of Khartoum state at that gallery and I won the first prize allocated for the best contribution. Later I took part in a gallery called "Secretary of the Unknown Streets" which allocated to portrait experiences of homeless children. The gallery was based on innovative vision as it didn't follow traditional rules systemizing galleries. We display our paints in the open air. Q: What other galleries have you taken part in? A: I am a member of a group of artists organizing annual gallery based on partnership between number of artists work together to produce artistic works belong to the a group not to individual. I also took part in "Black and White Gallery" and "What else?" in addition to various galleries. Q: What the message that the gallery titled "What else?" tries to convey? A: It is my current gallery conducted in Al Rabei Center for Youth. The gallery has been named in the name of one of the paintings bearing the same name. The gallery simply points out that there are many questions in our life need for answers. Q: What are your favorite materials when you paint? A: I almost use all materials including pencils, water and oil colors. I also use all types of cloth and wood used for painting. Q: Who is responsible for misunderstanding of paintings among the members of public? A: In general understanding of abstract paintings depends on one's culture however misunderstanding of artistic works can be attributed to lack of artistic culture as well little knowledge of artistic rules. I think negligence of arts by government is one of the important factors contributing to misunderstanding. Q: To what do you ascribe high prices of particular paintings? A: I think it is better that painting can be afforded by all citizens the thing facilitates spread of artistic culture. Q: Can you tell us about the most adorable painting that has left strong effect on you? A: I love the paintings of Renoir and Cézanne. The two in addition to other artists left striking paintings still enjoying incredible admiration. 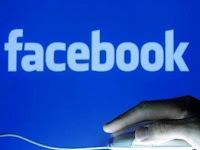 Facebook has turned into an electronic battlefield for the Muslim Brotherhood, Salafis and Sufis campaigning for seats in the upcoming parliamentary elections, as they increasingly criticize each other and promote their own candidates on the popular social network. The group has also posted maps of Egypt's electoral districts and used illustrations to educate citizens on how to vote. The Brotherhood has focused on spreading its party platform, which emphasizes social justice and combating corruption. Thirty five kilometers south of the city of Kerman, in the small town of Mahan, stands the beautiful pilgrimage shrine of the Sufi saint Shah Nur-ed-Din Nematollah Vali who was an Islamic scholar and a Sufi poet from the 14th and 15th centuries. 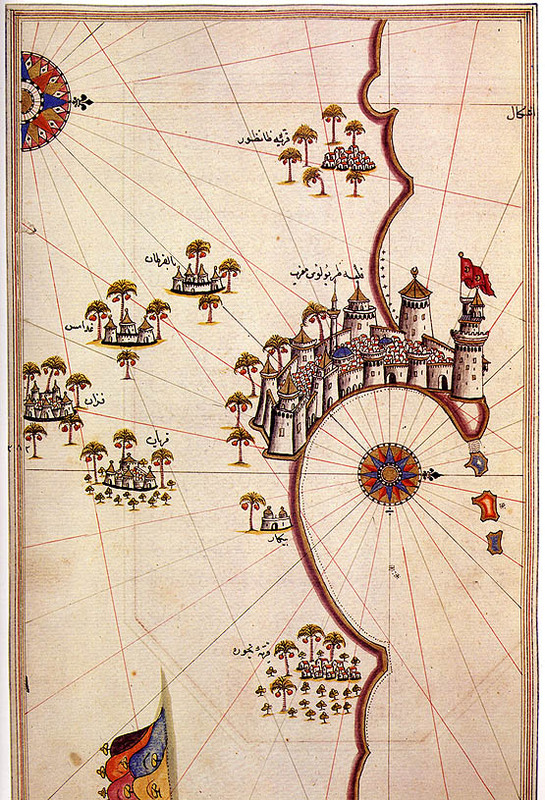 Nematollah was born in Aleppo (now in northern Syria), spent much of his early life in Iraq, including seven years in Mecca, and then traveled to Samarkand, Herat and Yazd before finally settling in Mahan in 1406. He is said to have lived for one hundred years, from 1331 to 1431, and is the founder of the Nematollahi order of Sufi dervishes who still gather at the sanctuary in Mahan. The shrine complex comprises three courtyards, a reflecting pool, minarets and a mosque. The earliest construction is attributed to the Bahmanid ruler Ahmed I Vali who erected the sanctuary chamber in 1436. 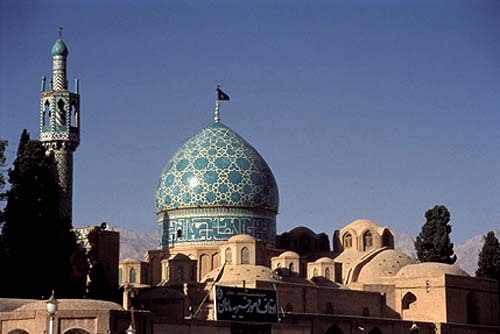 Shah Abbas I undertook extensions and renovations in 1601, including reconstruction of the tiled blue dome, one of the most magnificent architectural masterpieces in old Persia. During the Qajar period the site was particularly popular, necessitating the construction of additional courtyards to accommodate increased numbers of pilgrims. The minarets also date from this period. The small room where Nematollah Vali prayed and meditated contains beautiful tile decorations and has a wonderfully peaceful feeling. A Sufi sheikh has been shot dead at his home in a village in southeastern part of the Russian republic of Daghestan, RFE/RL's North Caucasus Service reports. Sirajudin Israfilov, 56, was imam of a Sufi mosque in the town of Derbent and reportedly had between 5,000-10,000 supporters. He was not recognized as a sheikh by Daghestan's official Muslim clergy. Israfilov's brother said he was shot dead at close range on October 27 in the village of Khurik by two men in camouflage clothes who entered the yard of his home. In a joint statement, Daghestani President Magomedsalam Magomedov and the republican parliament and government paid tribute to Israfilov's "wisdom and piety" and underscored his rejection of "extremism and terrorism." The authorities said they believe Israfilov was murdered by members of the Islamic insurgency, which has killed a dozen local imams over the past two years. But those killings were all in the northern and central districts of Daghestan. Khurik is in the southeastern Tabasaran district, close to the border with Azerbaijan. Daghestan's Muslims are divided between adherents of canonical Sunni Islam represented by the Shafii legal school; a local form of Sufism; and the Salafi ("wahhabi") Islam professed by members of the North Caucasus insurgency. Of Daghestan's 19 Sufi sheikhs, the official Spiritual Board of Muslims of Daghestan (DUMD) recognizes only four. The DUMD website was inaccessible at the time of this report. RFE/RL was unable to contact the DUMD for comment on Israfilov's death. Jhoolay Lal: Mystic beauty of Sehwan inspires Frenchman to compile book (Karachi city). How can an interest in Sufism lead someone to write a book? Well, just ask Dr Michel Boivin. 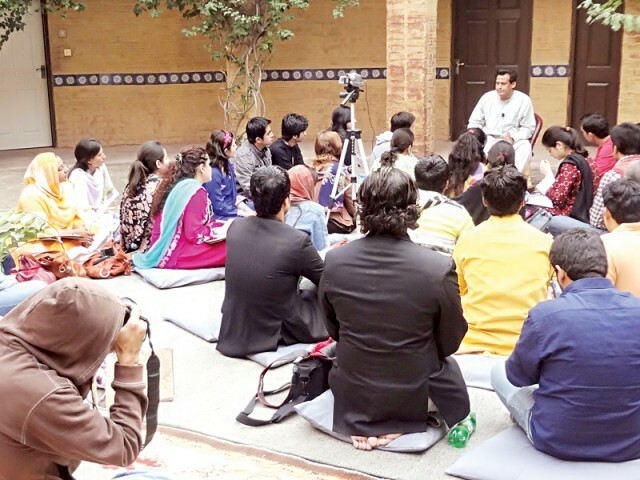 Karachi: Seated in a crowd of around 70 people, dressed casually in a pair of blue jeans and open ended shoes, Sufi enthusiast Michel Boivin sat next to a student, raring to talk about his book on Sehwan titled ‘Artefacts of Devotion’. The French author, who is currently heading an international and interdisciplinary study group on Sindh, sat humbly at Alliance Francaise, Karachi, on Friday to discuss the Red Saint, his shrine and his new book. All heads turned towards Boivin, who was standing in a corner of the room, the audience was waiting quite eagerly for Boivin to step up and talk about ‘Artefacts of Devotion’ and Sehwan. He walked up to the podium with a slight grin on his face. It caused quite a stir in the audience as people fidgeted and craned their necks trying to catch a glimpse of the good-looking Frenchman. Once the crowd settled down, Boivin had everyone’s undivided attention. He started off with a presentation which included some photos and extracts from the book. The author also talked about how some Frenchmen and women had visited Pakistan in 1958 and were fascinated by the remains of the 1947 partition. The main topic of the book, he explained, was the shrine of the unconventional qalandar, the Red Saint. He mentioned that his interest was mainly in Sehwan because of his fascination with Sufism. To show the audience how much Sehwan had developed, he showed them photos from the early 19th century. The author made the audiences imaginations run wild with details from the four main chapters which talk about the history and significance of each aspect of the shrines in Sindh. The last chapter focuses on everyday objects of devotion. While responding to a question, he said that he had always been fascinated by the tangled and complexity of the culture practised in this small town of Sindh. Tribute - Nusrat's legacy. Remembering the Ustad in the month of his birth anniversary. Did Nusrat Fateh Ali Khan take too many liberties with the qawwali in order to popularise it? Given how awash we are with copies of Ustad Nusrat Fateh Ali Khan's music, given that Rahat Fateh Ali Khan, his nephew, has bagged so many popular music awards, it seems fitting to examine the legacy of Ustad Nusrat Fateh Ali Khan (October 13, 1948 – August 16, 1997) who made the traditional Sufi qawwali yield stunningly new melodies. I wish I could do with words what those sketches of Nusrat Fateh Ali Khan by Japanese artists have done with just one or two precise broad strokes: Reveal the exceptional qualities gathered in him, the kindness of his face, his powerfully intelligent mind, and his vocal prowess. Nusrat Sahib is known mainly for his jaunty fusion music, fast-paced sargam improvisations and disco-beat songs that Peter Gabriel introduced to the Western world through “Shahbaaz Qalandar” (1990). But to know Ustad Nusrat Fateh Ali Khan only through the Peter Gabriel collaborations or the Bally Sagoo remixes is to know only a comic strip travesty of a tremendous singer. Listen to his classical Sufi qawwalis — especially Hazrat Khwaja Sang Kheliye Damaar, “Shamso Doha Badaroo Kuja”, “Allah Hoo”, “Data Tera Darbar hai”, “Aaj Rang Harima”, “Mera Piya Ghar Aaya”, “Ya Haiyo Ya Quayuum” — to reach the true musical magic of his expressiveness. His voice marshalled levels and kinds of piety, beauty, energy, and musical ingenuity that went beyond anything I had heard before. The music was majestic, demanding, exciting, and deeply joyful, and it threw classical music into totally unexpected corners. I felt the need for a book which explained the structure of the classical qawwali — jikr (verbal invocation) and zarb (stroke of the drum or clap) and this I found distilled in Regula Burckhardt Qureshi's book entitled Sufi Music of India and Pakistan: Sound, Context and Meaning in Qawwali. But mainly I was curious about his subjectivity and I wanted to read a biography of Nusrat Fateh Ali Khan, one that linked the musician to the man, and this I found in the 1992 biography of Nusrat Fateh Ali Khan, written by Ahmed Aqeel Ruby, translated by Sajjad Haider Malik, published in Pakistan. What is odd is that there is no other biography or book devoted to this extraordinary musician. The Aqeel Ruby biography tells us that Nusrat Sahib absented himself from “the business” of music. He let people trouble him and use him. He opened himself up to commotion. Biographical evidence shows Nusrat Fateh Ali Khan to be a singularly kind man, one completely uninhibited about his kindness. We are told he was a Sufi at heart, a non-conformist in what we call “pragmatic matters”; that he divided his income into 21 equal parts and each member of his group got paid the same amount that he took himself, and the same amount was set aside for charity and for family. It is my belief that this Sufi self-unconcern is what kept Nusrat's traditional qawwali innocent of corruption and obsoleteness although he opened himself up the musical corruptions of pop and improvisations like no other classical artist. Improvisation in classical music is not about the artist spinning out of traditional legacies with the goal of outstripping his/her forerunners but rather about imagining a different sort of affinity with tradition and with teachers of the past. There is no feverish competition with the forerunners; the improvisation is the surprise of something gathered in response to the moment. Improvisation is more than newness and ingenuity; it is the process by which the truth of tradition becomes an active principle in the mind. But these days, improvisation bows to commercial pressures, and the commercial, in all times, has always destroyed art and communities. Maybe it is fitting to recall that the two fundamental conceptual poles of qawaali are: sama (to listen) and jikr (to mention), and listening here goes beyond consumption or enjoyment. Listening here signifies listening in order to empathise with others and to merge with the sacred in order to relinquish the ego. There is no doubt that Nusrat gave a significant place to fusion perhaps out of a sense of responsibility to popularise qawwali among the youth. But it seems to me that the innovator Nusrat and the traditionalist Nusrat cannot be divided. He was tremendously good in both these irreconcilable realms but he did not try to have it both ways. I see Ustad Nusrat Fateh Ali Khan as a traditionalist who saw tradition in terms of an active struggle; in other words, as making room for improvisation. Picture: Magical moments... Photo: The Hindu Photo Archives.